All of them, if brought separately will cost Rs 1250 but Maybelline priced it at Rs 1000. 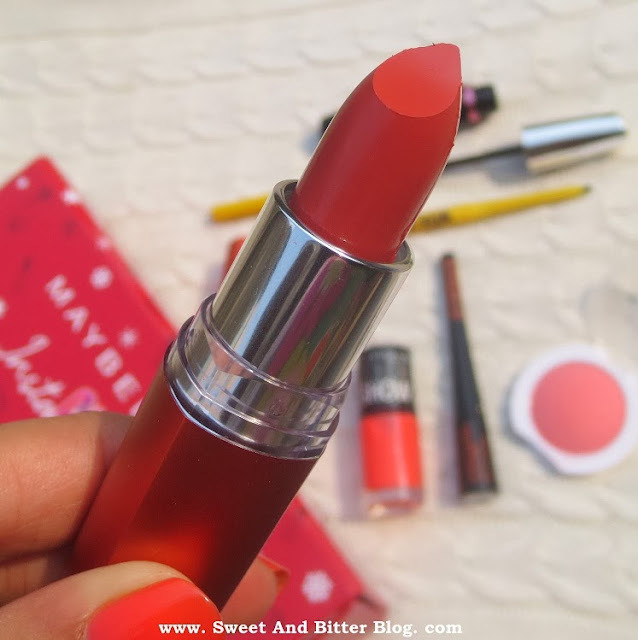 This lipstick is the main reason I choose the Coral box. I love the color. 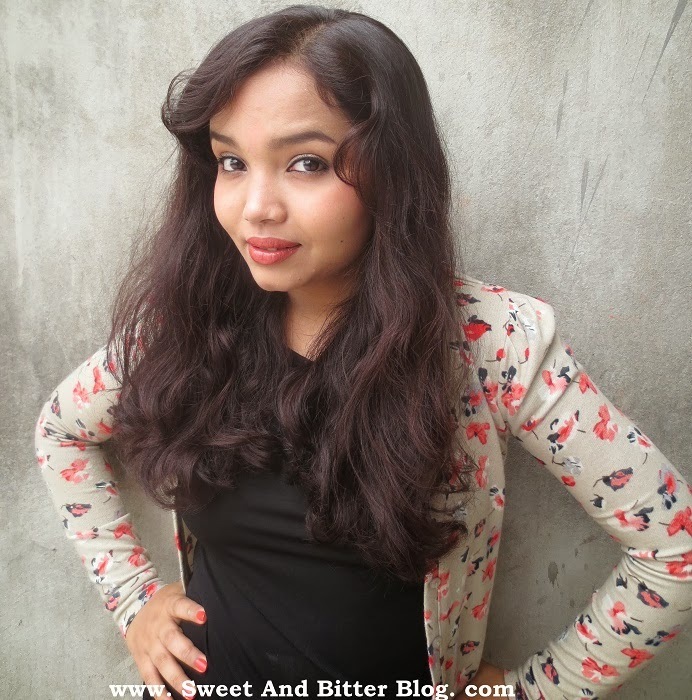 It was my first lipstick which was opaque for my pigmented lips, fresh and everyday type of color and super long lasting. 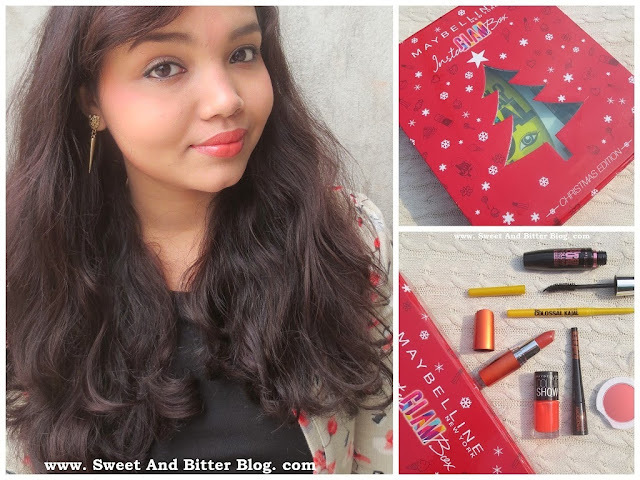 This was my very first lipstick that I reviewed in this blog. How could I have missed it when they launched Cheeky Glow? I thought every color have shimmer but this one doesn't. 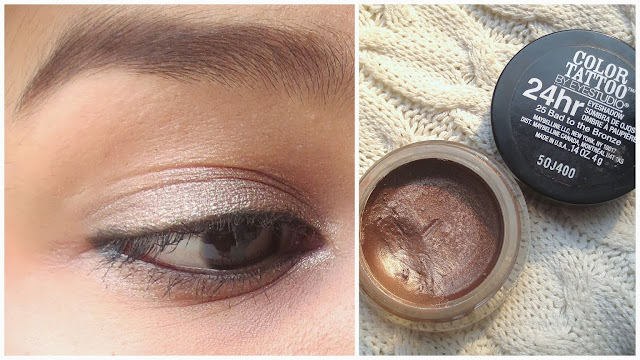 Cheeky Glow Blush is baked blush types. 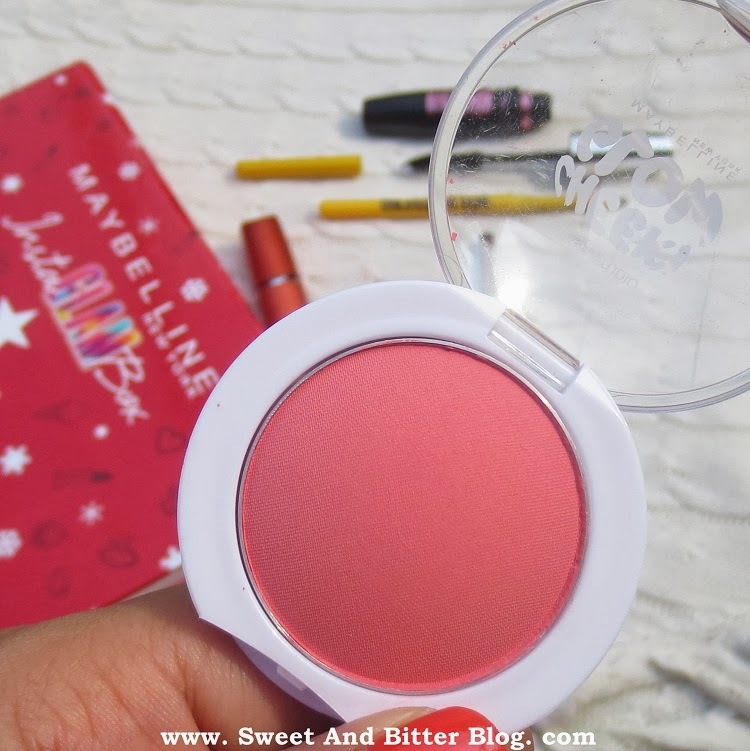 The blush is finely milled, super smooth to apply and extremely pigmented. The tiny blush is travel friendly. Do I need to say anything about this loved kajal? They gave the 12H variant of Colossal Kajl in the box. 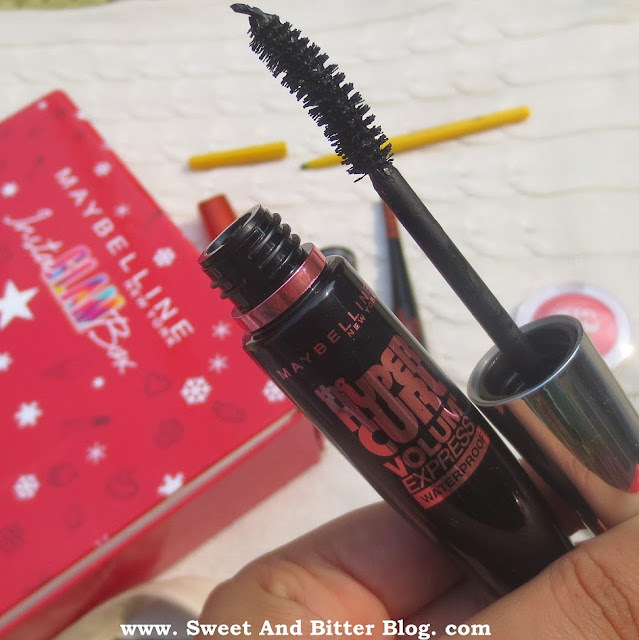 I love this mascara - pocket-friendly, cute, adds ooph to lashes with added volume. 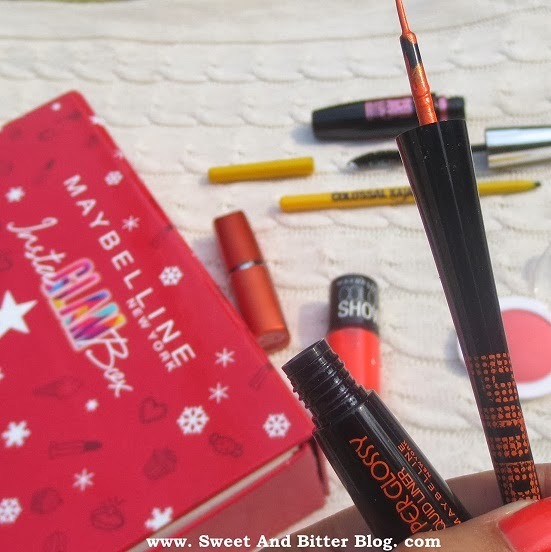 The curve is perfect for lower lashes as well. Glossy liners are not my thing. I have the same in black. I have not yet worn this. And here I am, wearing everything that came in the box expect for the Hyperglossy Liner. 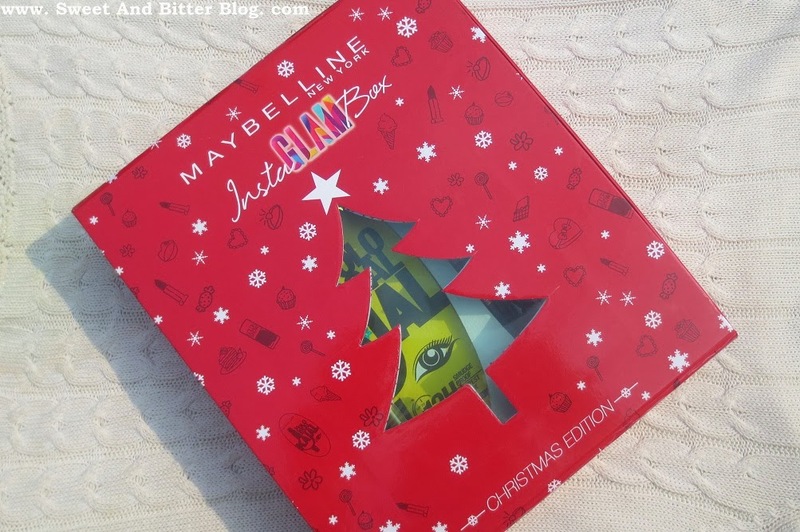 And do not ask questions like "How come you are wearing the makeup from the Box even before opening the box?".... its all part of Christmas Magic! 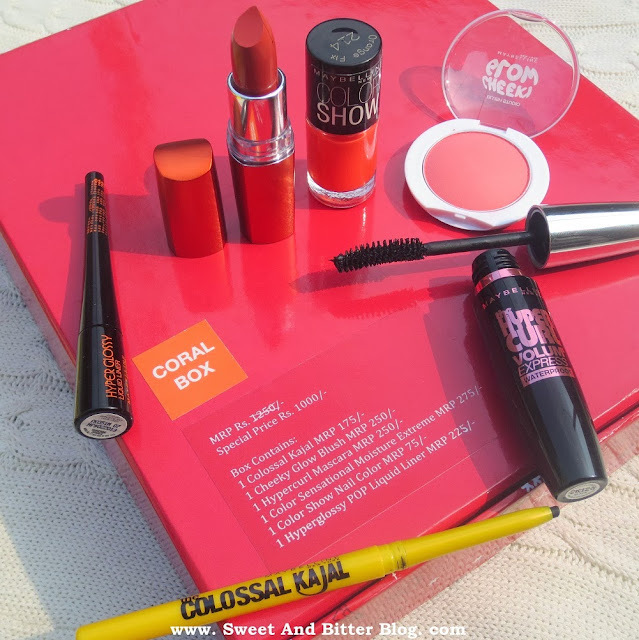 Everything looks great and I loved the whole concept of Instaglam box. Not only is the box good just for Christmas but this is the collection of products that you can use everyday around the year. 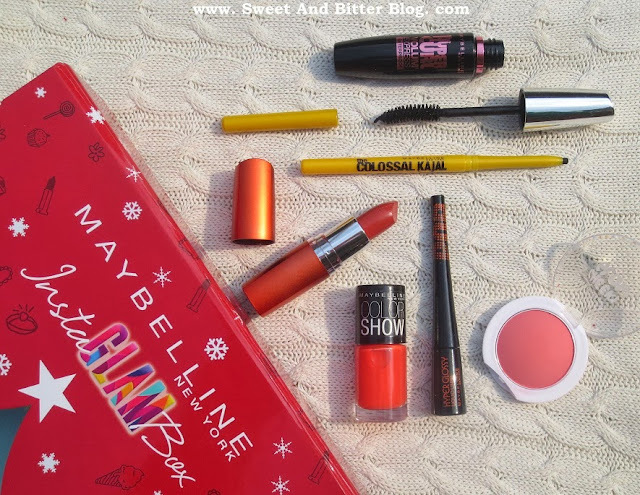 The Maybelline Insta Glam box is perfect to get the complete look. If there is one thing I need to change in this box then I will replace the Hyperglossy Liner with Color Tattoo Bad to Bronze. 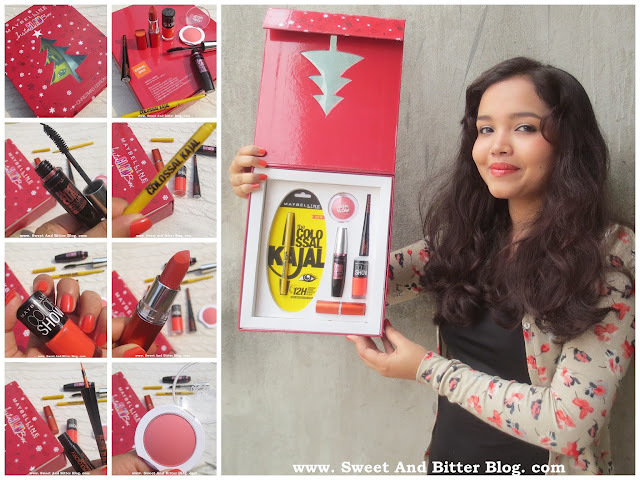 Overall - For a thousand bucks, this is a great deal Six products that you need to complete a look based on a theme neatly packed inside a box with tiny makeup drawn on it for Christmas is good gifting option for a little sister or cousin who just got into makeup. I am sure you will be thanked generously for such a nice gift. And if you like to pamper yourself, get one for your own use like I did. 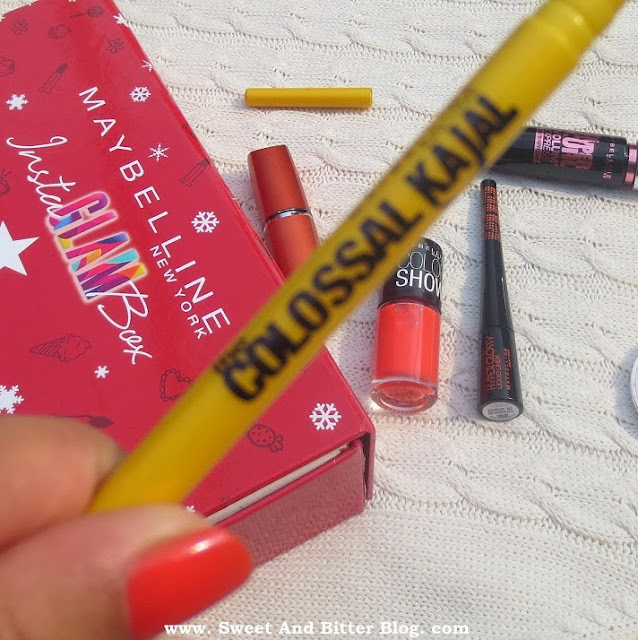 I purchased mine from Nykaa so I also got a nail polish free - in a shade that I do not have ~ Maybelline Glamorous Pink. 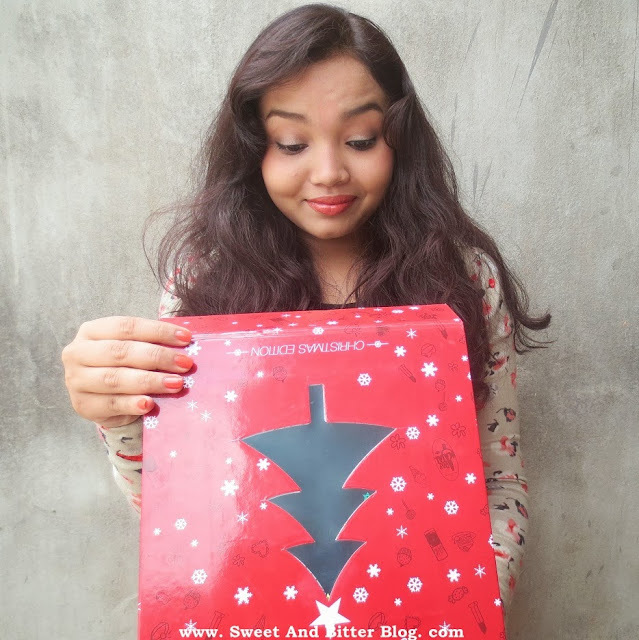 PS: There is another thing in that Nykaa box. Want to see that? But the ones from MedPlusBeauty are prettier. yes, I opened both the boxes. He he.